Leaves will be changing soon and temperatures will begin to drop. Fall is on the way and it’s the perfect time to get out and explore nature with the family. 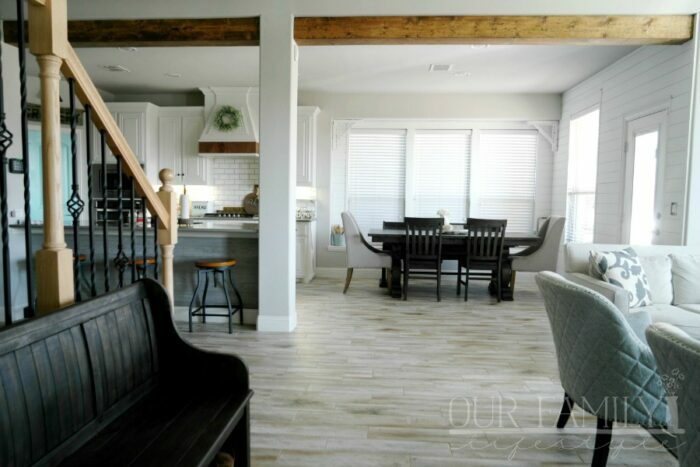 From crispy leaves to fallen acorns, there is much to gather and explore with the kids. 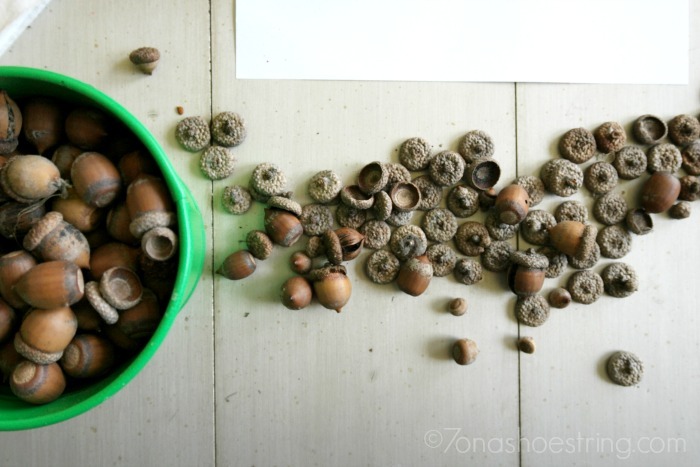 A simple walk in my parent’s backyard and we can find a large collection of acorns. 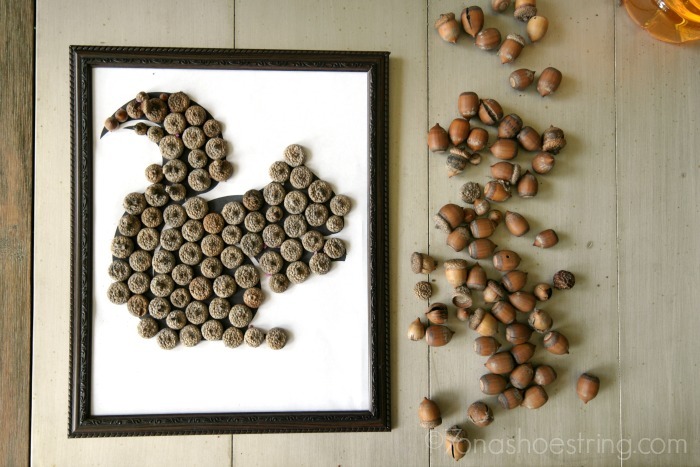 On one such walk, Jaden decided she wanted to create a fun piece of Fall art from the oak nuts. Inspired by the adorable squirrels that also gather the nuts, she searched for ideas and found one she wanted to try. 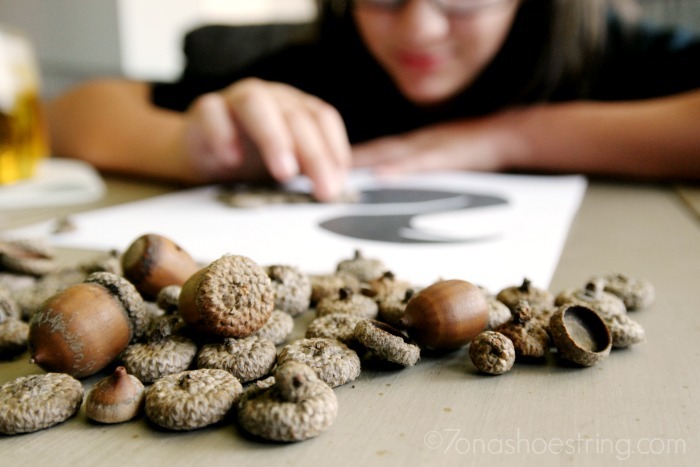 After collecting the acorns she needed for her craft, we talked about the different parts of the nut. 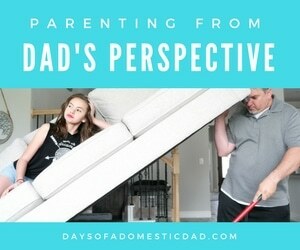 We homeschool and believe that there is a lesson found in everything. This was the perfect opportunity to teach the girls about the nature of the oak nut and the development of the oak tree through the seed. We separated the shell from the cup-shaped cupule and looked deeper inside a couple of the shells. It was a great hands-on activity for the girls as we prepped for the craft. Once Jaden began crafting, she could better understand the anatomy of the seed and why the squirrel has to work so hard to get inside it. In the end, she had a fabulous fall photo to display. 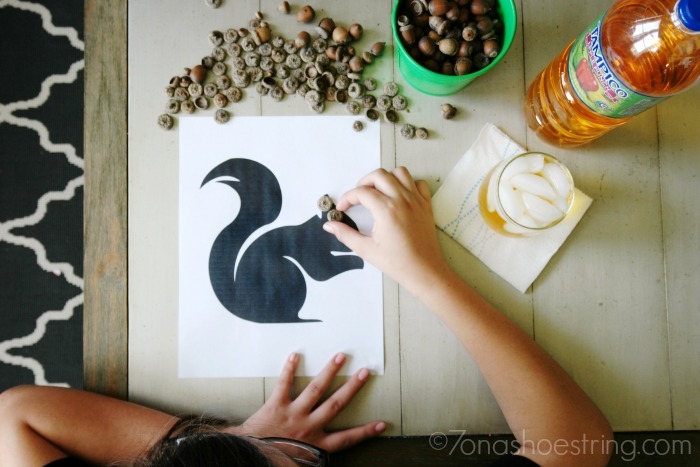 She found a free squirrel silhouette printable online and printed it off. 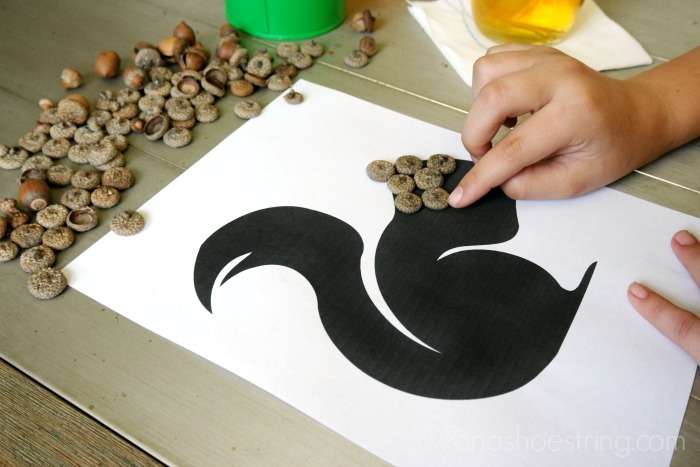 After taking the copules off the acorns, she positioned them over the silhouette the way she wanted them and then glued them down. Once dried, she glued the print to the cardboard inside the frame, removed the glass, and displayed her work. Throughout the process, she enjoyed the fresh taste of Tampico. While collecting the acorns, the beverage kept her cool and refreshed. 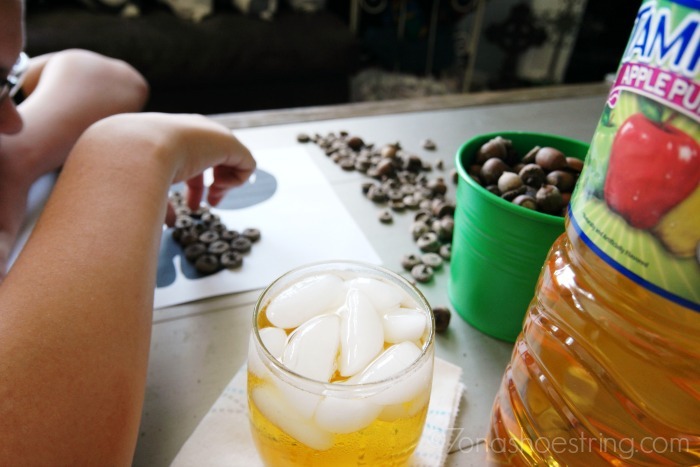 As she separated the copule from the shell, the drink was perfect for keeping her hydrated and energized. And once she was ready to craft, Tampico provided her with a delightful treat to enjoy as she enjoyed her work. Bring the refreshing taste of Tampico along on your next fall frolic!